When your garden is producing an abundant crop of fresh basil, it’s time to think about preserving it for use all year long. 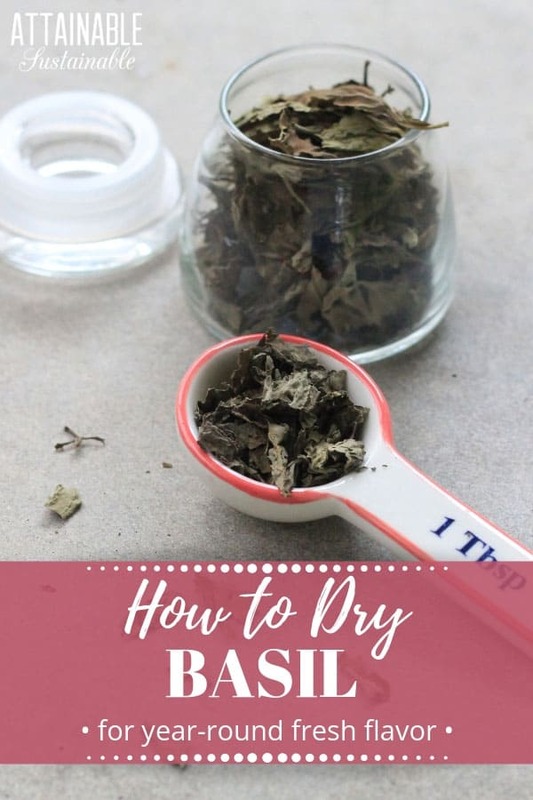 Read on for more about how to dry basil using several different methods, including one that might be a bit unexpected. 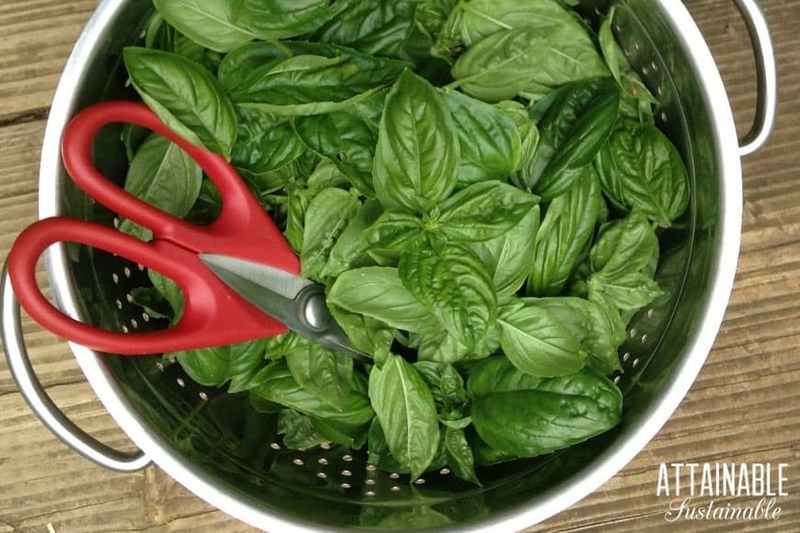 Before drying your fresh basil, you need to prepare it. Wash the basil leaves by submerging stems of basil into a big bowl of water. Swish them around a bit, make sure that they’re all submerged, and allow to sit for 15-20 minutes. Swish again, and lift basil into a colander to drain. Transfer drained basil leaves to a towel. Use a second towel to dab the top of the basil stems, removing all visible moisture. Remove basil leaves from the stems. The stems can go into your compost bin; the leaves are the part to be preserved. Dried basil has the benefit of being shelf stable. It doesn’t take up space in the freezer like freezing basil does. Dry basil is a key ingredient in cooking Italian dishes like lasagna and marinara sauce. The length of time it takes for basil to dry will depend entirely on the temperature, humidity, and method used. While you don’t need anything fancy to dry most herbs, basil has a high moisture content and will mold if the drying process takes too long. A food dehydrator offers a more controlled environment for drying basil, though it’s not the only way to do so. 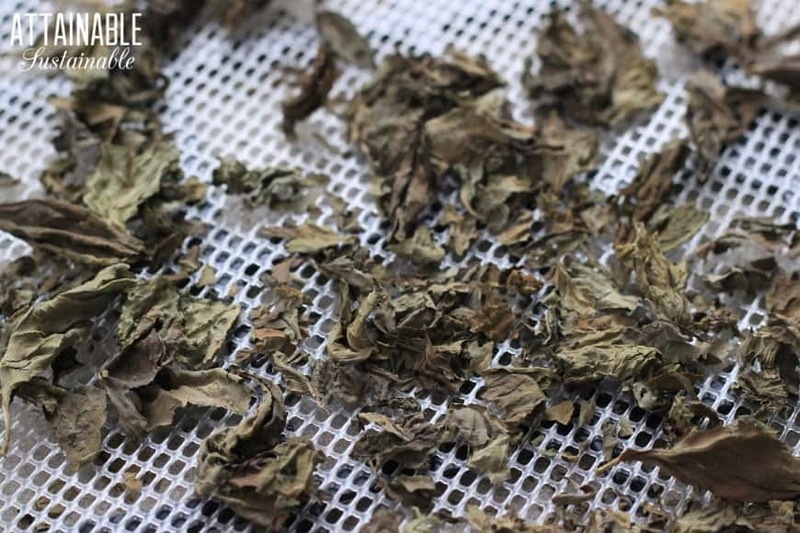 To dry basil in a food dehydrator, scatter prepared basil leaves on dehydrator trays. Position them so that they’re close together but not overlapping. This allows for free air flow. Set dehydrator to lowest heat setting (some dehydrators have an “herb” setting). Begin checking basil after about four hours, though depending on your climate, this can take as much as 24 hours. To dry basil in your oven, scatter leaves on a baking sheet in a single layer. Turn the oven to low and prop the oven door open. If yours is a newer oven with a bread proofing setting, use that, otherwise aim for a temperature no higher than 180 degrees Fahrenheit. It will take two to four hours for basil to completely dry. Spread basil on baking sheets as you would for oven drying. Instead of turning the oven on, set the trays of basil leaves in side your car. 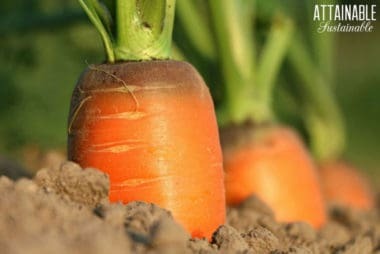 The heat from sitting in the sunshine will work just as well as any dehydrator without using electricity or gas. If your climate is dry and hot, the simplest way to dry basil is to use what Mother Nature offers up. You can hang basil to dry the old-fashioned way, if you have the space. Cut long stems of basil and bundle them together using a twist tie or a rubber band. Cut a slit in the bottom of a small paper bag and push the stiff stems into the bag and through the slits so that the bundle of herbs is covered by the bag. Hang basil to dry on rafters, or stretch a length of sturdy line across the ceiling and use clothespins to hold herbs in place. An outdoor drying rack can be as simple or elaborate as you like. Basically, these are trays on which herbs are set, with a bottom that allows airflow. You can create an inexpensive drying rack at home using a picture frame from a thrift store. Cut a piece window screen so it’s just a bit larger than the frame and use a staple gun to attach the screen material to the frame. 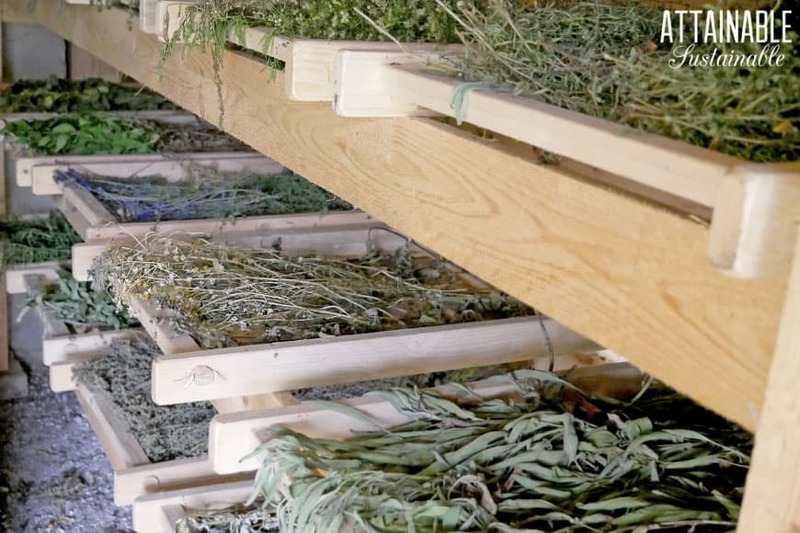 To use your rack, set it up on blocks so that the air will flow all around the herbs. Avoid setting basil in the direct sun. Test the basil leaves by crushing them in your hand. They should crumble into dry little bits. If they just roll or bend or wrinkle in your hand, they still need more time. When the basil leaves are crispy, rub them between your fingers to crush them for storage. 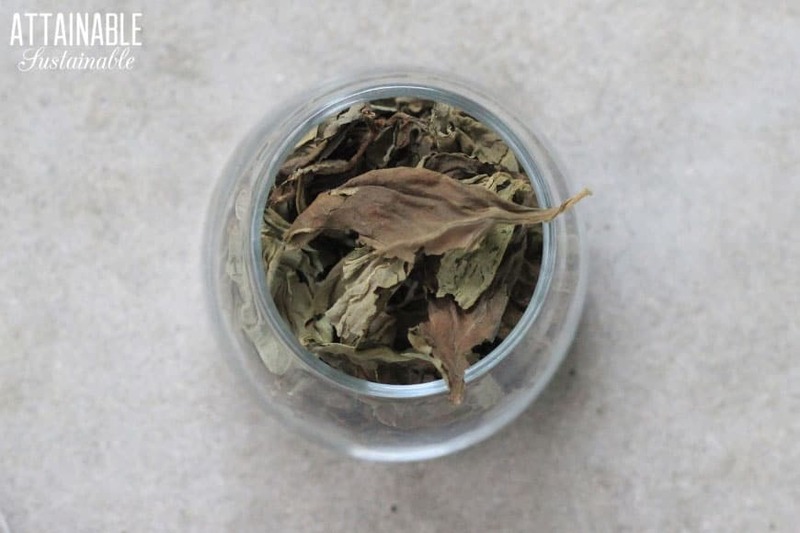 Place dried basil leaves in an airtight container. Adding a desiccant packet can help maintain freshness. Store jars of basil in a cool, dark place. I find it’s useful to keep a large jar of dried basil in a cupboard and a smaller jar in the spice drawer. 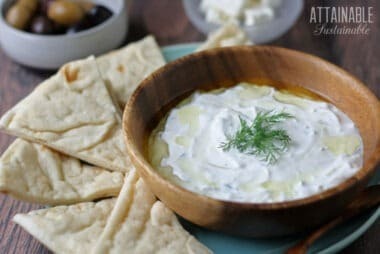 This prevents me from introducing moisture to the large jar every time I add this flavorful herb to a recipe. When the small jar is empty, I refill it from the large one. 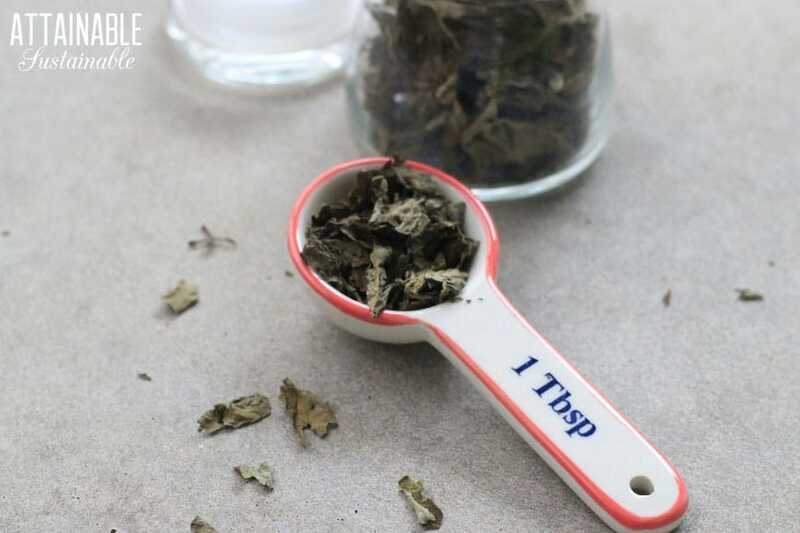 Your homemade dried basil can be used just as you’d use the store bought version. But yours will be fresher! And free of plastic waste. Stir dried basil leaves into soups and stews, use it in this zucchini lasagna, or add it to these herbed English muffins. Just be sure to crumble or crush the leaves as you use them so you don’t end up with full-sized rehydrated basil leaves in your recipe! When your garden basil is producing a generous harvest, it’s time to preserve some for later! What are your favorite ways to preserve basil?